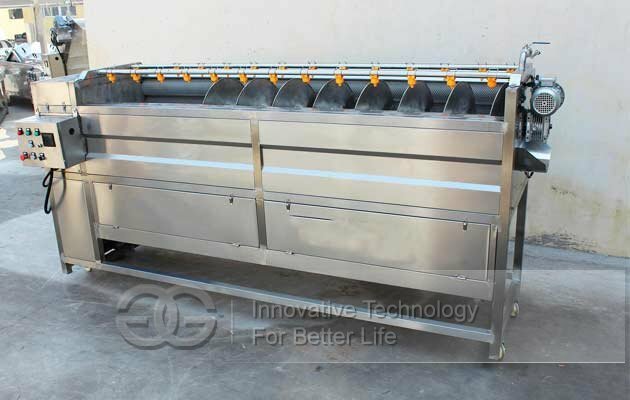 Pre-fried french fries production line is mainly used to make pre-fried or half-fried frozen french fries, taking fresh potato as raw material. 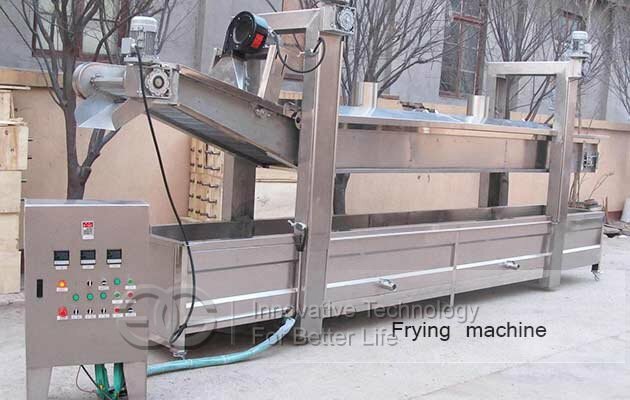 The main difference is the frying time is short during the production of french fries. 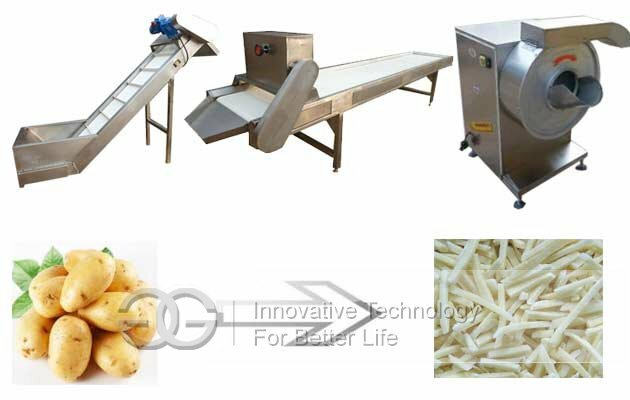 Pre-fried potato french fries production line is mainly used to make pre-fried or half-fried frozen french fries, taking fresh potato as raw material. The main difference is the frying time is short during the production of french fries. 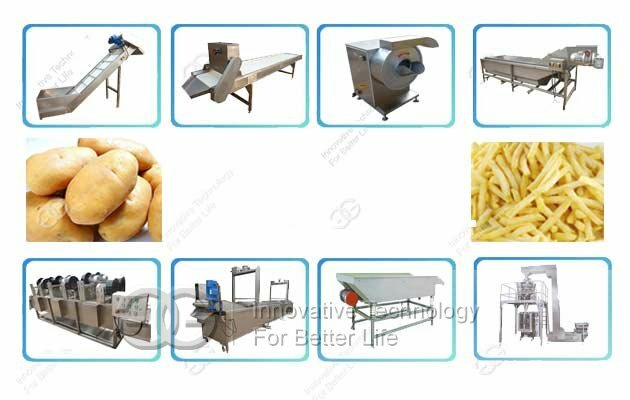 The complete pre-fried french fries production line including hoist, potato washing and peeling machine, potato sorting machine, potato cutter, blanching machine, de-watering machine, pre-frying machine, de-oiling machine, air cooling machine, freezer and packaging machine,etc. According to customer's requirement, we can euip suitable machines for you. 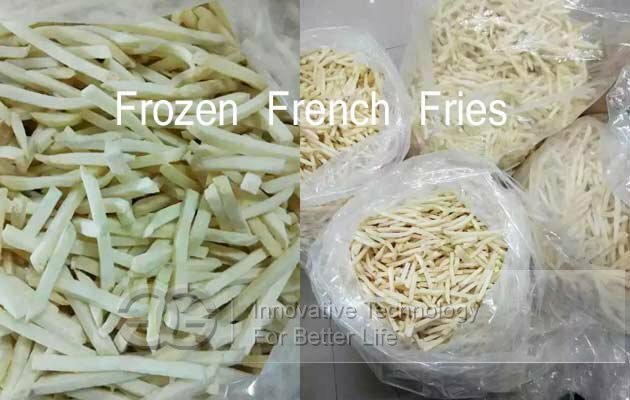 If you want small scale frozen french fries business, you may not need the hoist, air cooling machine, etc. 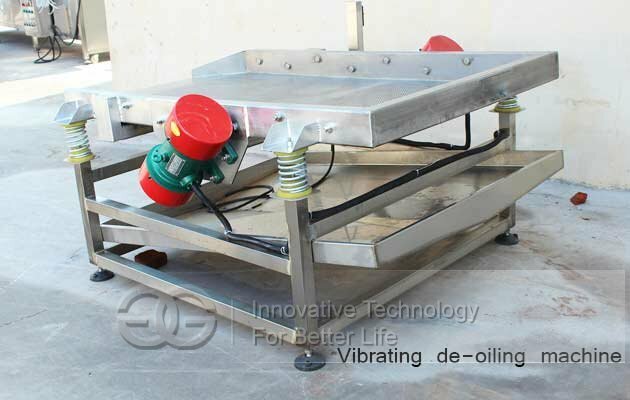 For the frying machine, GELGOOG also both gas and electric heating type. The frying time of pre-fried or frozen fries is very short, keep the oil temperature at 170 ~ 180 ℃, frying 1 minute or so.